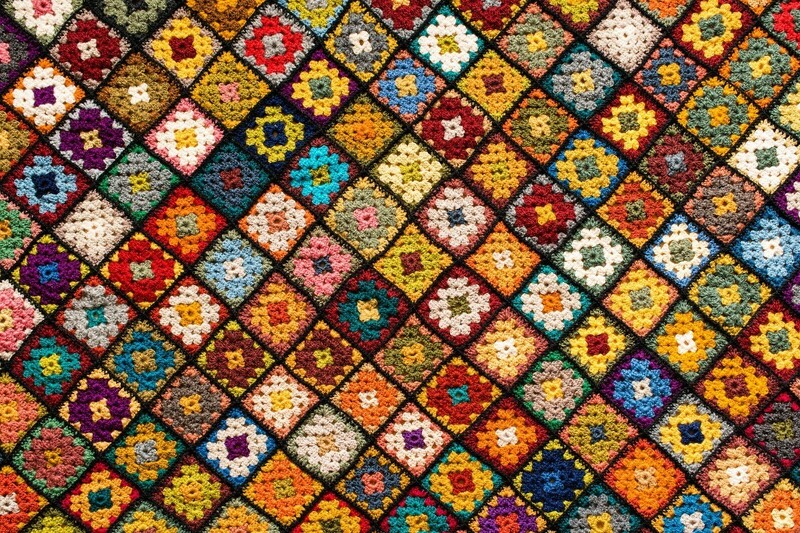 Old crochet items such as bedspreads require care when cleaning. It is best to wash by hand in the tub, using cold water and Woolite. Then squeeze out the water and dry flat, do not hang. This is a guide about cleaning an antique crochet bedspread. I have an antique crocheted bedspread. Water leaked into the cedar chest where I was storing it and now it has brownish cedar stains on it. How can I remove these stains and not wreck the bedspread? Soak it in water softener. It's extremely gentle. Put cold water in a bucket large enough to hold the coverlet, drop a handful or somewhat less of water softener into the bucket, stir until dissolved. Drop the coverlet in and let soak-an hour is usually plenty of time. hot water can set stains, as do many soaps, so be careful. White King is the brand I know, there may be others. I have an antique crocheted bedspread that has been in storage. It has several rust colored stains on it. It is ecru in color, not white. Can I get rid of the stains without hurting the color? also have a hand crochet yellow/white bedspread created with cotton thread.It is about60 years old in perfect condition. It has been stored in my a drawer. I would like to launder it but need advice. Thank You. My parents hand crocheted a yellow/white bedspread with cotton thread over 60 yrs. ago. It has been in my linen closet and is in perfect condition. How can I wash and dry it safely. It is full size. Thank you. I would wash it in a large laundry bag on the gentle cycle with Woolite. Dry flat. I'm not sure you can find a laundry bag large enough for a full size bedspread. If it were me, I would not want to take any chances with something like this so I would suggest taking it to a high end dry cleaners and ask them if they will do it and assure you that it will be done properly. It may be costly but hopefully it will look beautiful when finished and they can probably supply you with a safe storage bag. You could try soaking it in the tub in cold water with some Woolite. Then, squeeze out the water, roll it up with towels and dry the best you can. Lay flat to dry (perhaps by covering you bed with towels then spreading on top of them with fans on it. Thank You so much. I will definitely try this.